If you're looking for a clever cartoonist then look no further because we'll give you his contact details without charging a fee. Wendo is a great bloke, part of the family who is currently further studying his craft at Bendigo TAFE whilst also working with an international news organisation doing their cartoons. He loves to draw and is available for piecework when required. 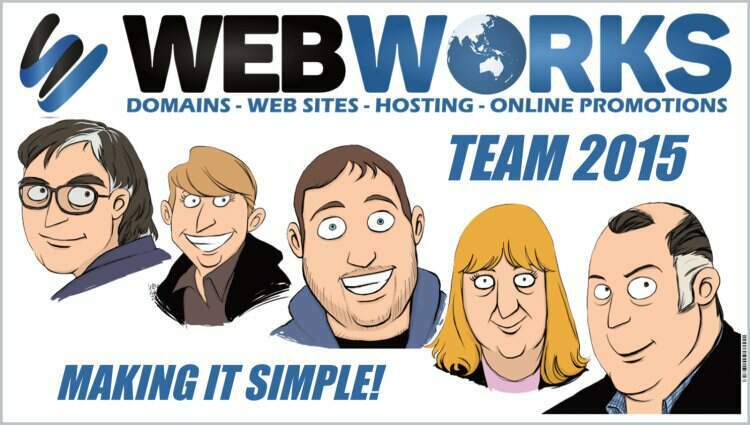 We recently gave him the task of creating a cartoon representation of our team and you can see the result to the right. This was done for a banner we had printed for the office. If you have met us you would know what he has drawn is very well done.